Two weeks ago in my WSET Level 3 class, we did a wonderful and memorable class on Champagne and sparkling wines of the world. It was heaven and happiness all wrapped up together in 3 hours. All of our ‘blind’ tastings but one were sparkling wines made in the traditional method – which is to say – the way the Champagne houses make their bubbles in France. If you have been following my blog – you know that I am a big time lover of Champagne and Cava. In my pre-reading and studying for my sparkling category class – I went into the B.C. Liquor Store to see what they had on the shelves. 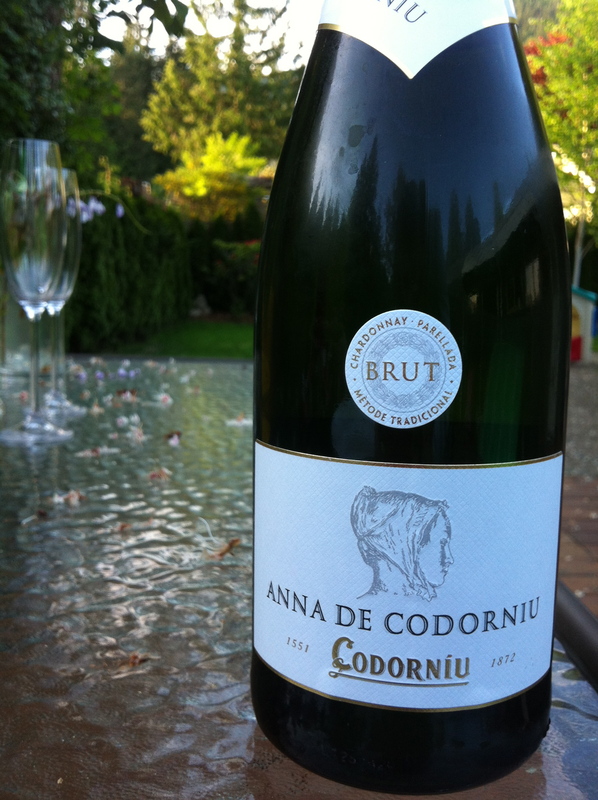 I had read an article about a great ‘value’ Cava called ‘Anna’ by Codorniu and was able to track it down. I was not disappointed and have enjoyed 2 bottles so far. Traditionally – Cava’s rely on and are made with native Spanish grape varieties such as Parellada, Macabeo and Xarel-lo. Anna de Codorniu is Codorniu’s first Cava to incorporate the Chardonnay grape into the mix and it weighs in nicely by making up 70% of the blend. This wine is kept on its’ lees for 12 months to add some nice dimension and a bit of complexity. It is a nice pale lemon yellow colour with lovely ribbons of fine persistent bubbles along with larger bubbles. On the nose, there are aromas of tropical fruit such as pineapple, some stone fruit (peach and nectarine) and a hint of citrus fruit. I did smell a bit of minerality as well as delicate toast and brioche aromas. 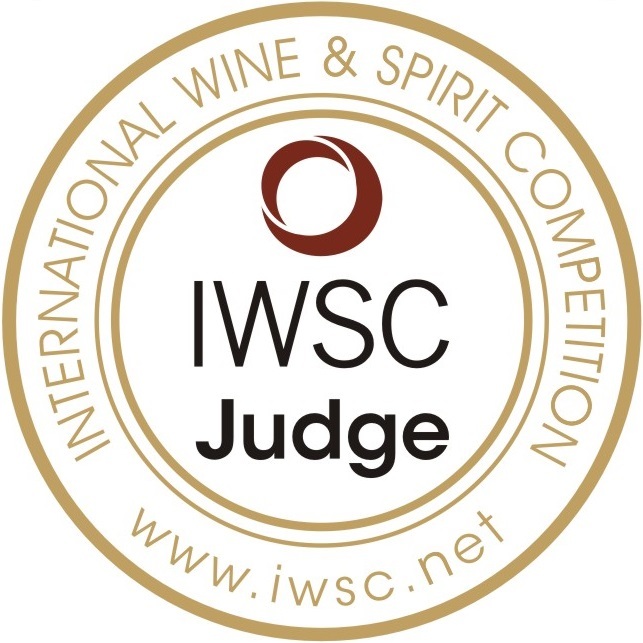 On the palate, Anna has a medium acidity, medium body and medium alcohol with a medium plus flavour intensity. I tasted more of the citrus notes on the palate with nice sweet lemon zest, toast and peach flavours. YUM! This sparkle had a medium minus finish and wasn’t overly complex. It is a perfect little Cava. There is something quite charming about opening a bottle of sparkling wine, in this case Cava, for no reason at all other than because you can! Too often I think we fall into a bit of a rut and we don’t take adventurous chances to find something new and exciting to drink. Why not open a bottle of this Anna de Codorniu for the whopping price of $13.99 instead of your regular ‘go-to’ bottle for a change? I am such a fan of Cava…I hope to convert a few of you to pop a few bottles open just for the hell of it! ‘Hell Yes’ category for me for the flavour, price and refreshing quality. $13.99 a bottle? Absolutely sold! And a darn pretty bottle to boot! Pair this little bottle with absolutely anything! Bubbles are awesome with salty food, sweet food or fatty food. Go for it! Would make a wonderful hostess gift bottle for your next event. As always, thank you for reading. I love your feedback and comments! Keep them coming.